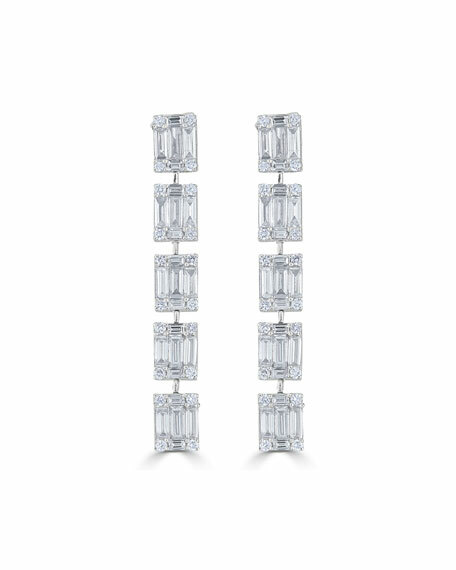 Linear dangle with mixed-cut diamonds. Round and baguette white diamonds. 2.89 total diamond carat weight. For in-store inquiries, use sku #2618688.